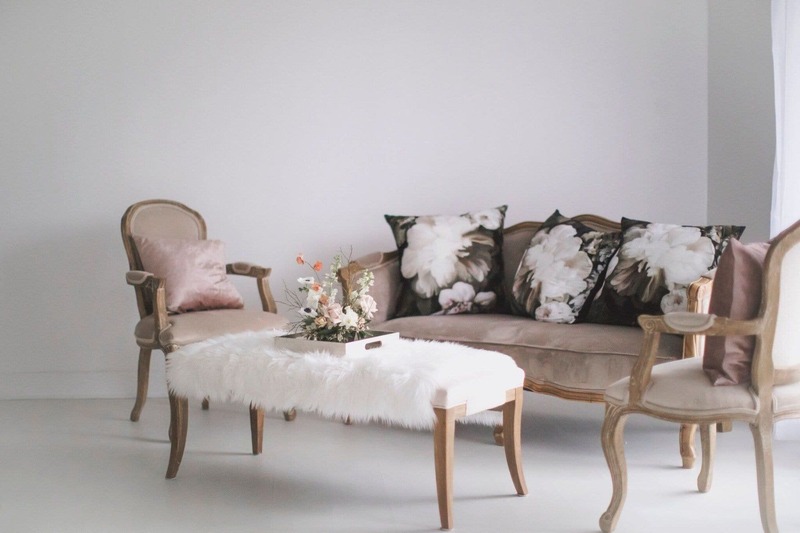 Emily, the founder of Born on Fifth contacted us to collaborate on organizing her daughter's second birthday, which was going to be a fusion of White Swan and Floral design themes. Emily told us that since her daughter Eloise (she calls her Elle) was born, so many people have sent her flowers, that she joked about her house looking like a botanic 'Elle' garden. This has set the tone for using flowers in Elle's birthday parties. 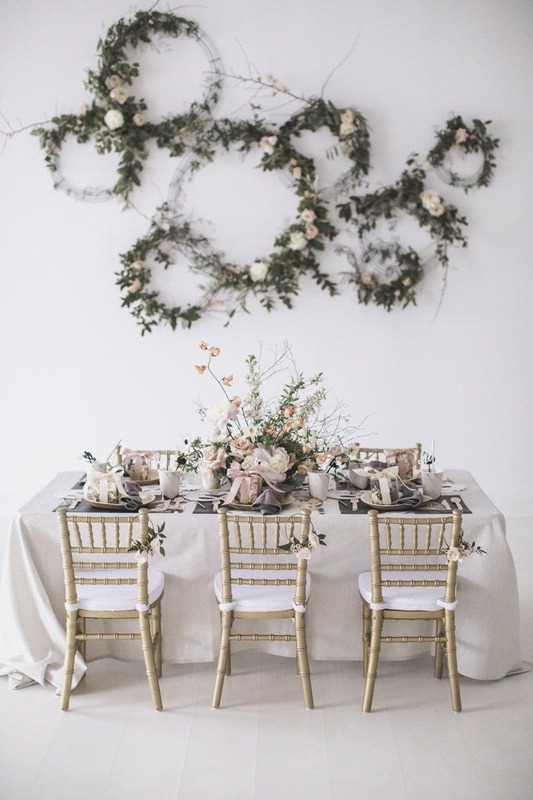 But the real floral direction came out of a collaboration between Emily and Beijos Events. They both loved Ellie's Dark Floral wallpaper. Emily: 'When I initially saw it, it took my breath away. It still gives me the same feeling'. They decided to use the Dark Floral Wallpaper in a very different way: as placemats. 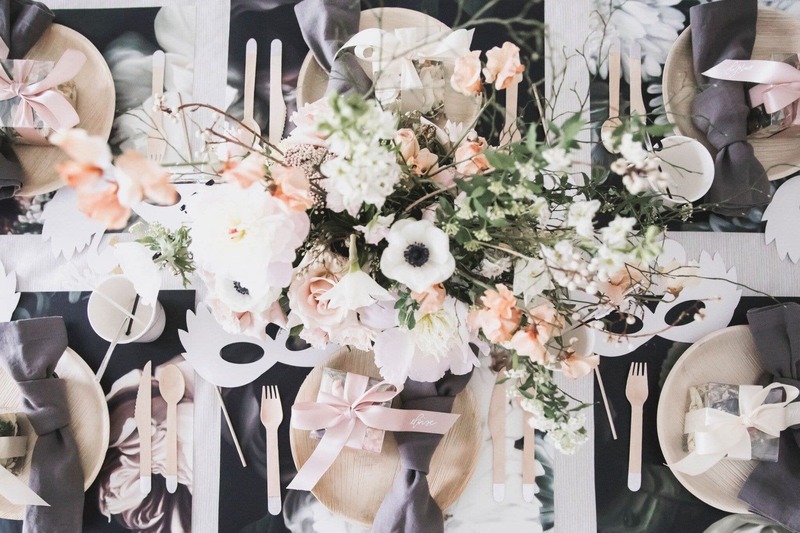 We were really inspired by this idea, because we had never seen anyone use the Dark Floral in this way: to brighten up and set the mood for a lunch table. 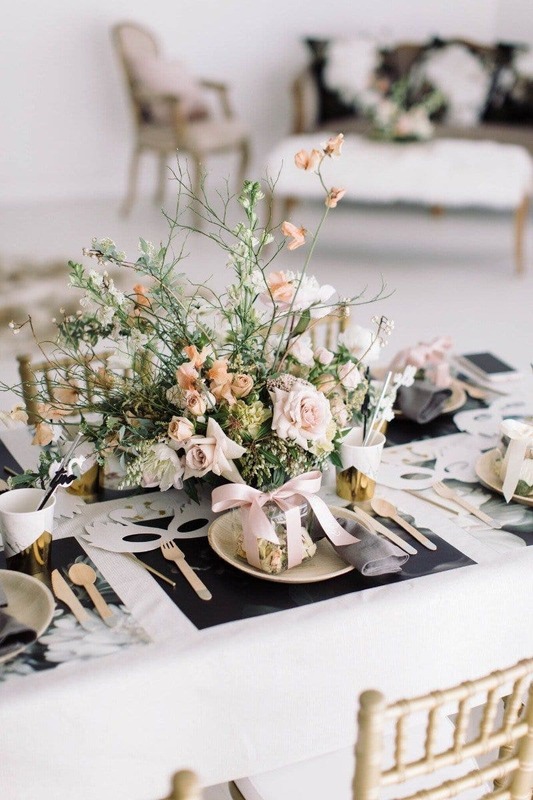 Emily: 'The Dark Floral placemats and cushions added just enough moodiness to offset the otherwise sweet 'White Swan' theme. Ellie's wallpaper and cushions were our black swan, in a sense'. All of Emily's friends loved seeing the wallpaper deconstructed in this way. Also, 100 Layer Cakelet featured the party, calling it 'A new standard for pretty'. For any more information about planning a birthday party for your little one, please visit Emily's blog for all the ins and outs of this project.